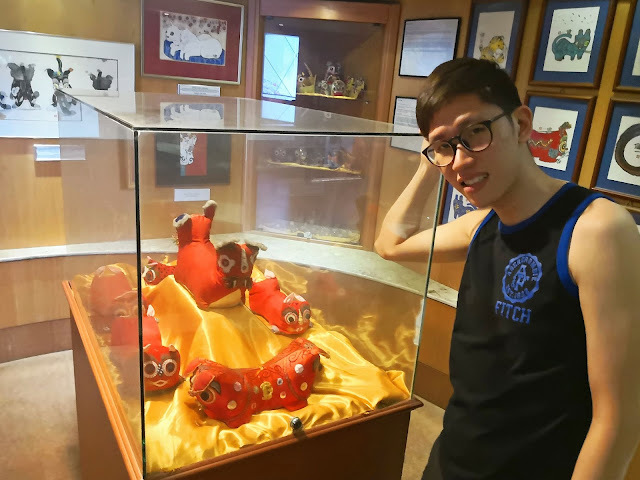 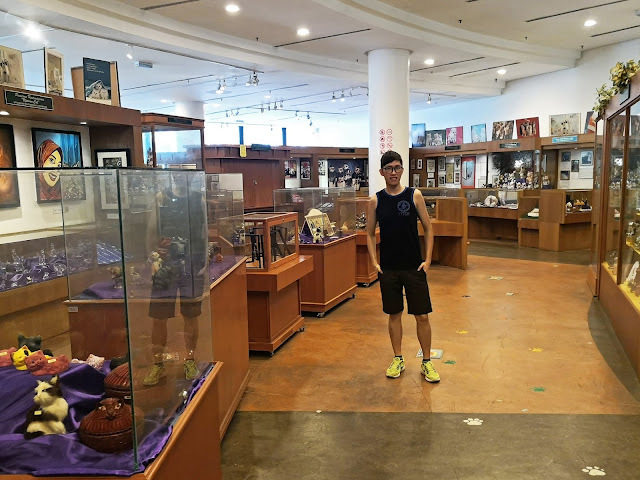 I thought it was mandatory to visit Kuching Cat Museum the following day after a fulfilling time at the Rainforest World Music Festival 2018. 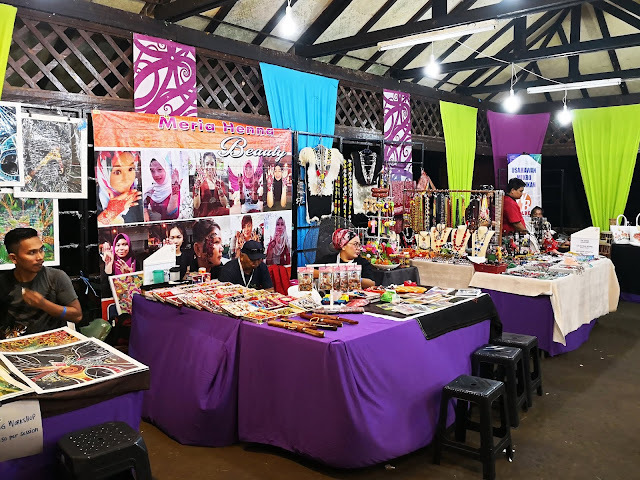 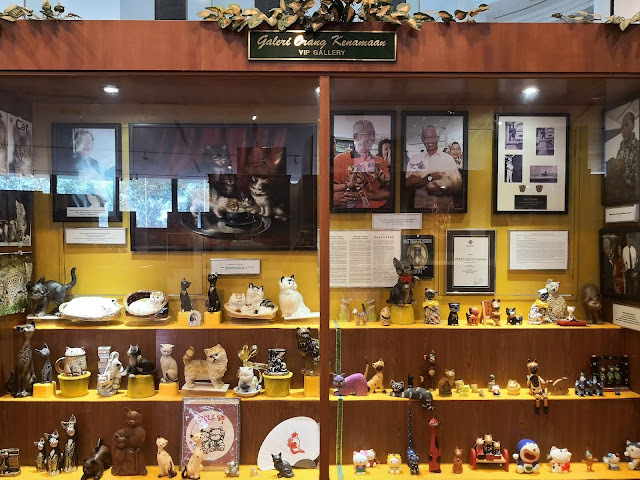 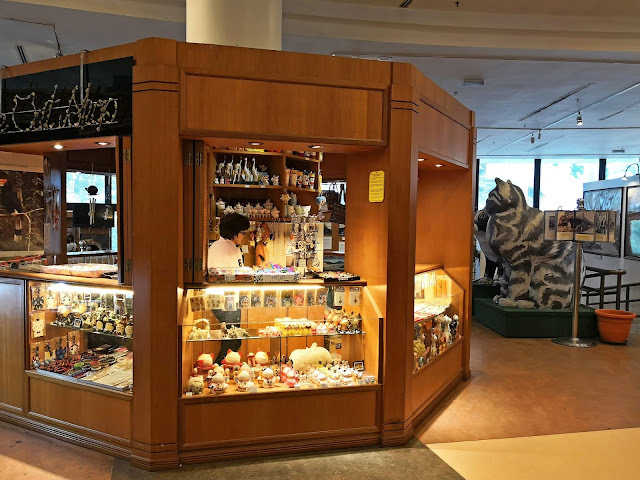 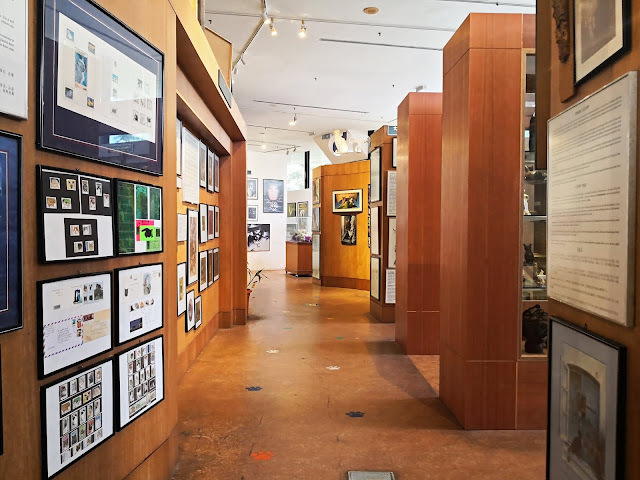 Since the locals fondly called their city 'Cat City' due to the fact that 'Kuching' means 'cat' in Malay, why not visit their cat museum and check out their collection? 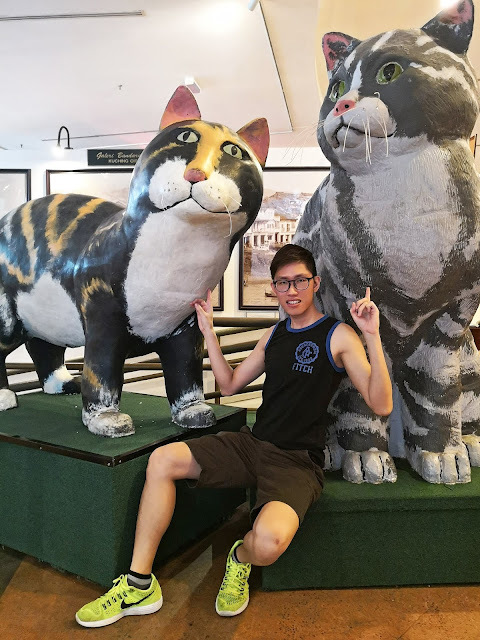 My friend and I cabbed over to Kuching Cat Museum, located at Bukit Siol. 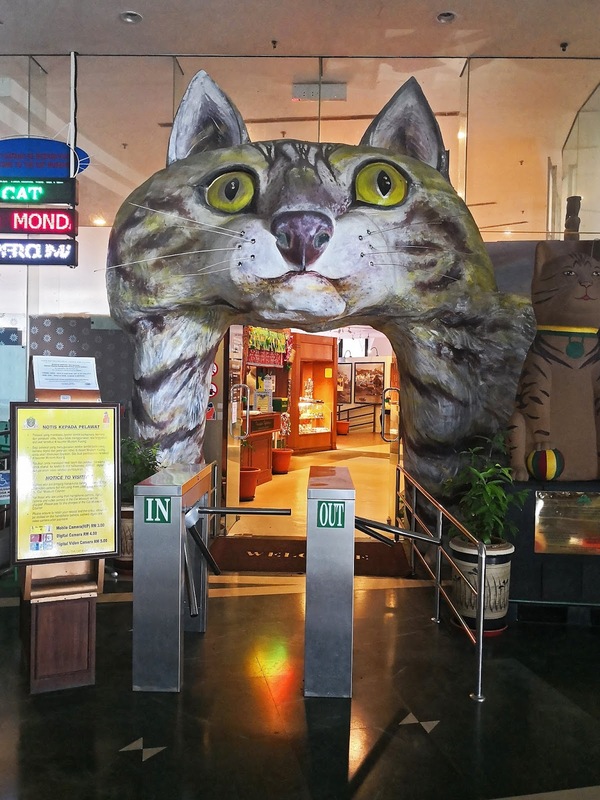 We were greeted by a cat head arch at the entrance which prompted me to start snapping pictures. 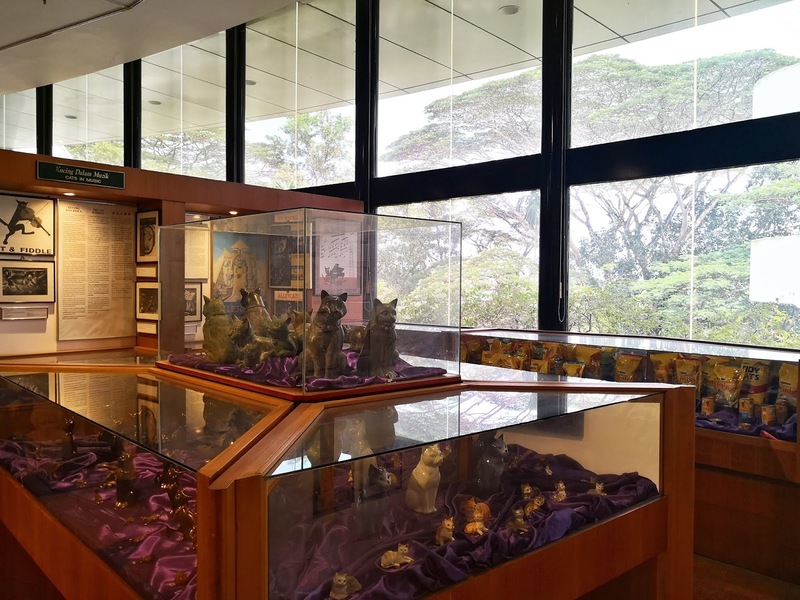 Admission is FREE, however, a very small fee is needed for photography in the museum itself. 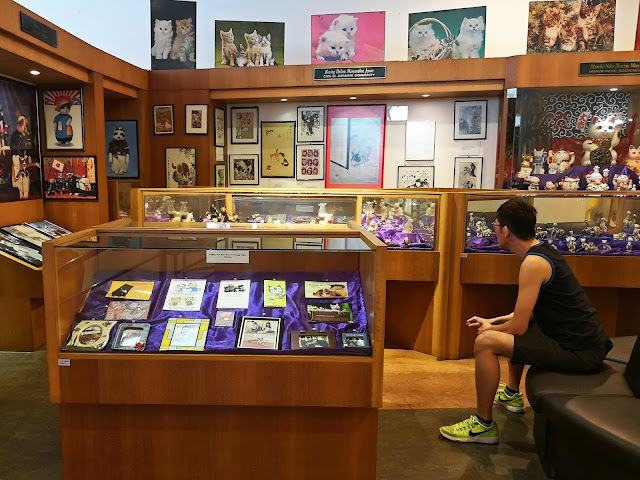 I was definitely awed by the huge collection of cat related artifacts in its gallery, all neatly categorised. 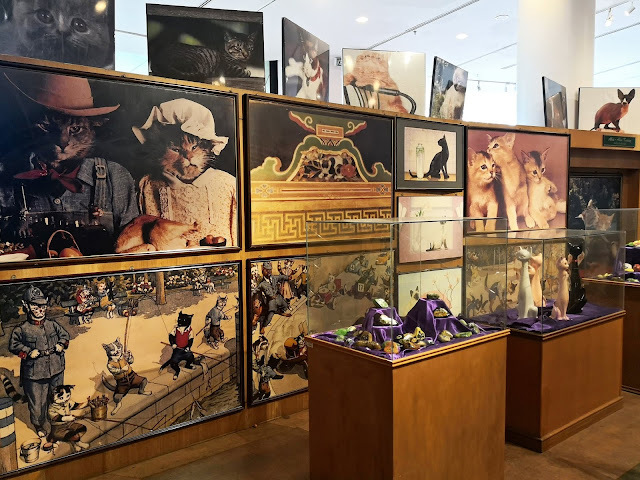 Browsing through the collection, there were paintings, cross stitch, jewellery, sculptures, miniatures, toys of anything 'cat' I could imagine. 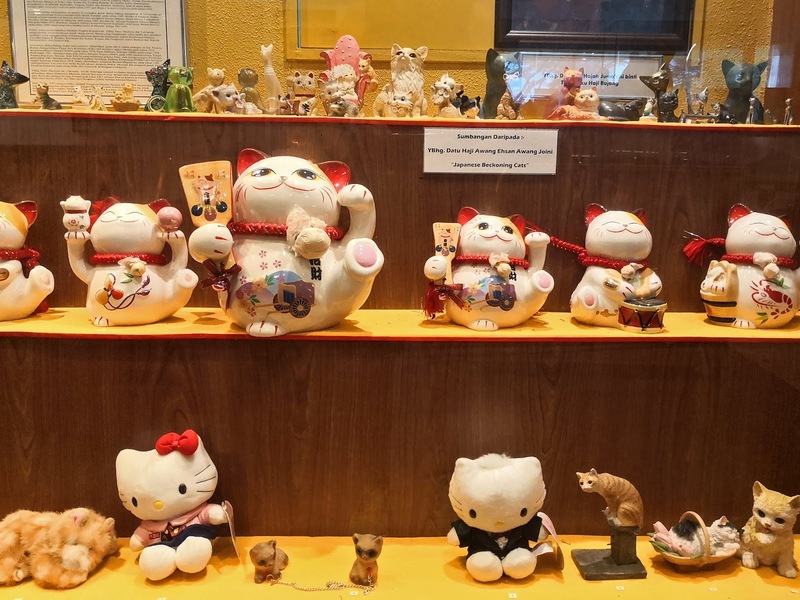 Even iconic cats such as the Hello Kitty and Garfield were not left out of its collection. 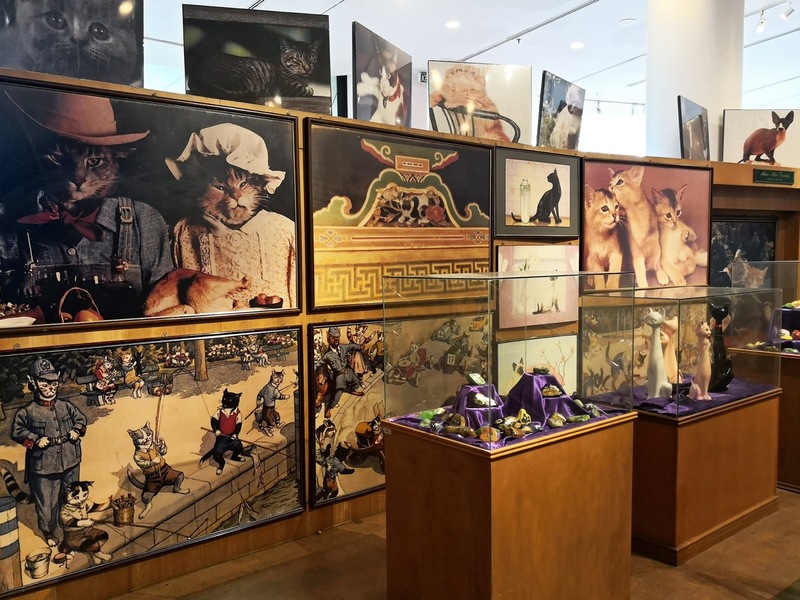 I admit I wasn't exactly a feline lover and I had a quick browse through. 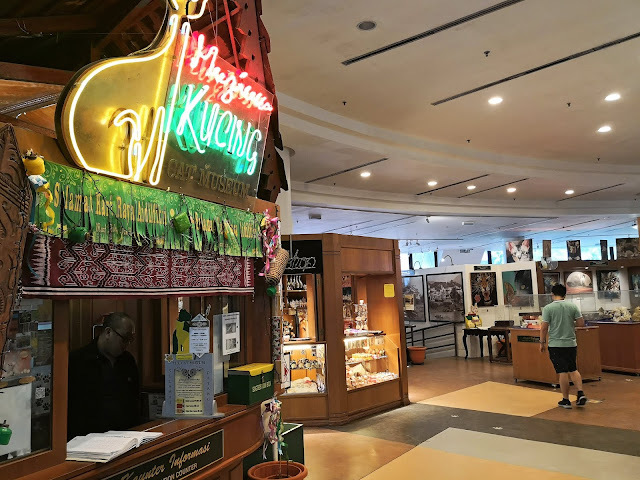 At least I had pictures for references unlike Kuching's Natural History Museum and Textile Museum which doesn't allow photography. Do not miss the souvenir booth if you know friends who love anything to do with cats! 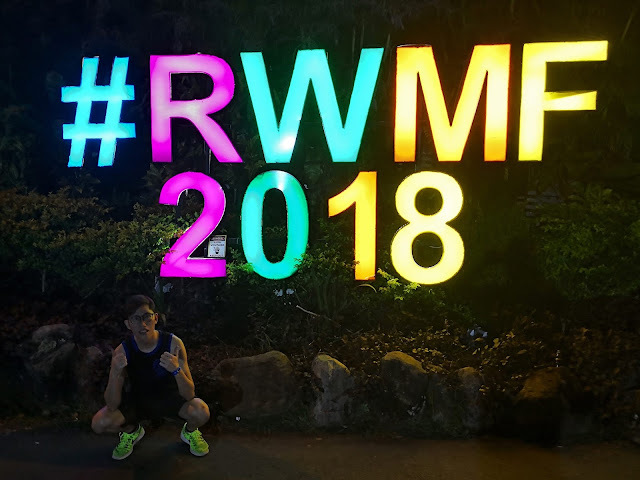 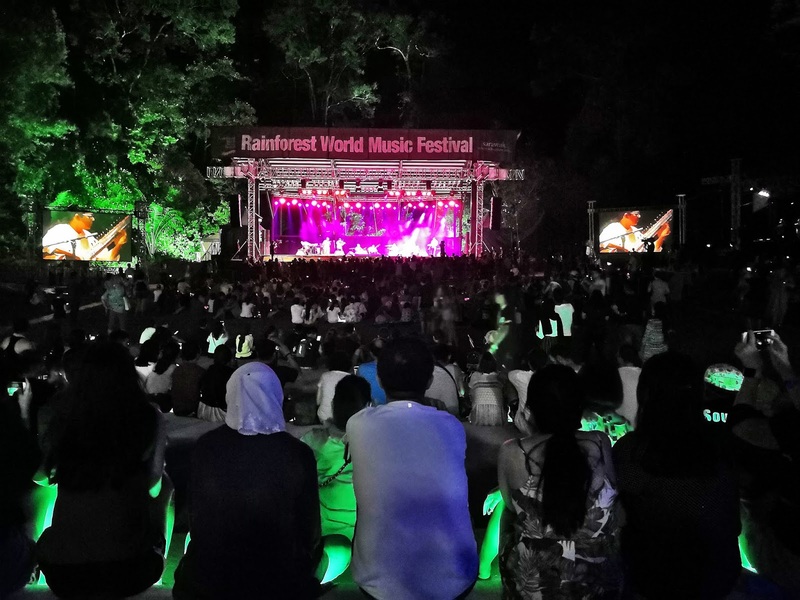 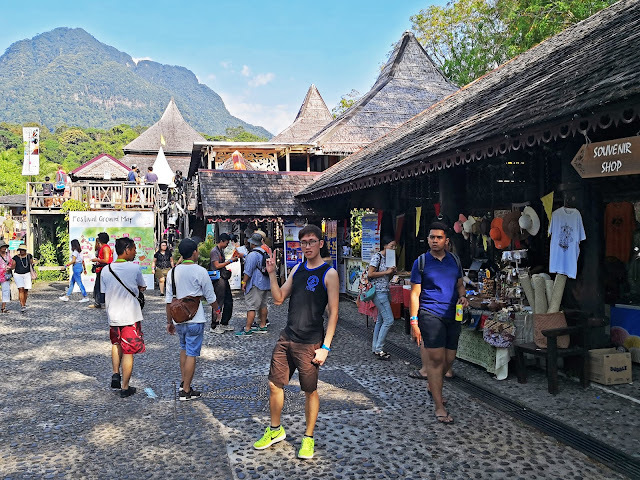 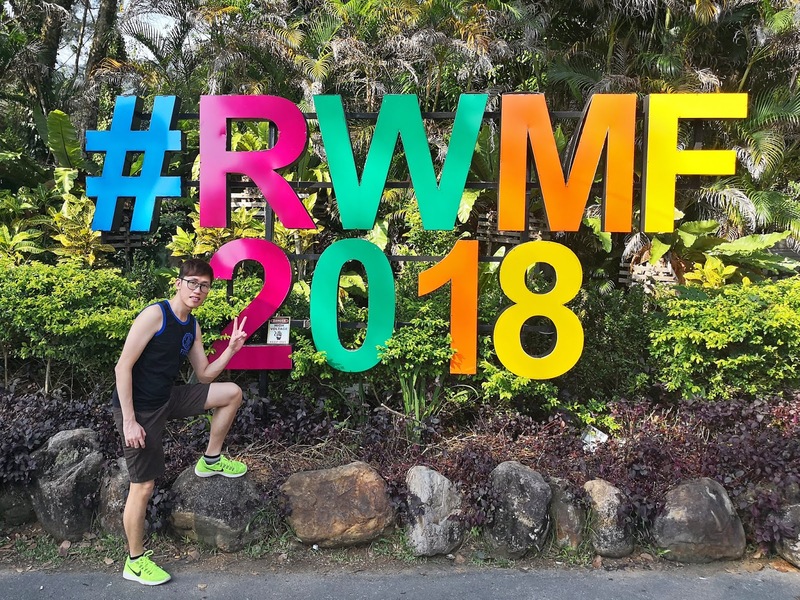 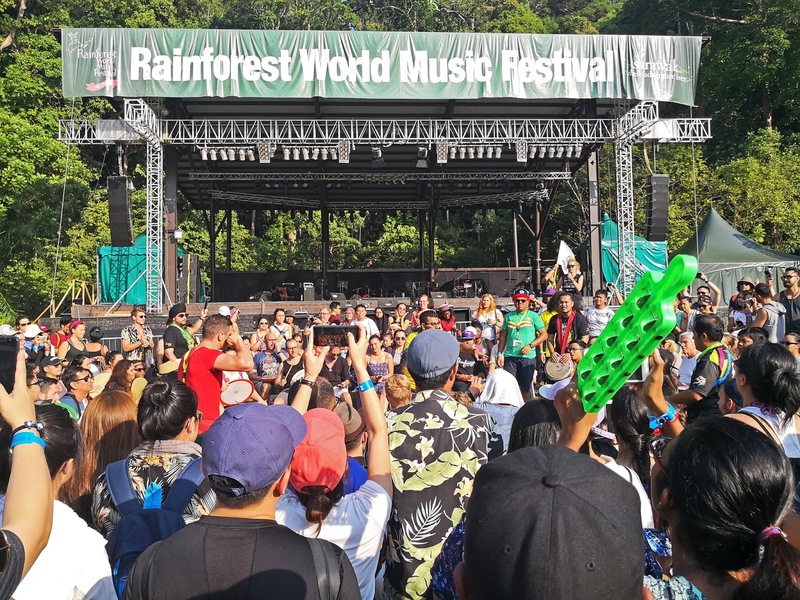 It was purely a coincidence that the Rainforest World Music Festival held yearly at Kuching (Sarawak ; Malaysia) falls exactly on the week I was there for a short getaway. My friend snagged tickets for 2 few days before we arrived at Kuching. 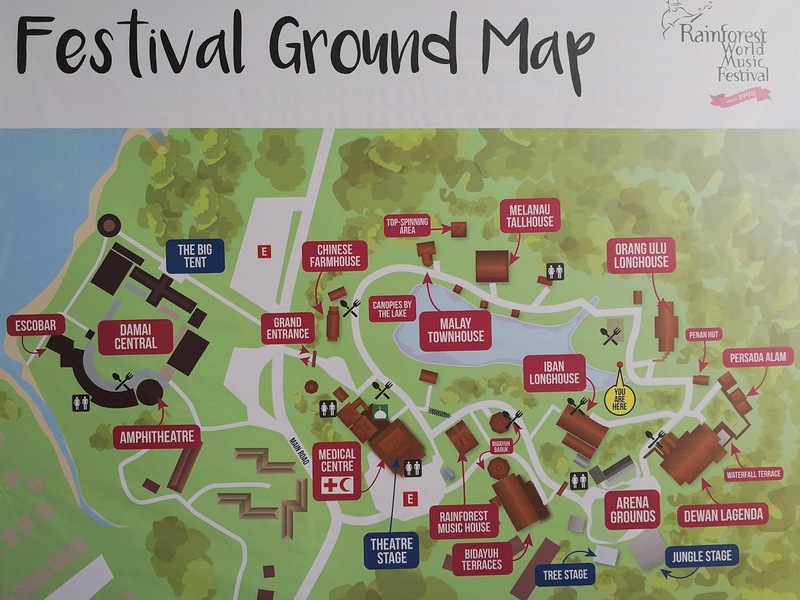 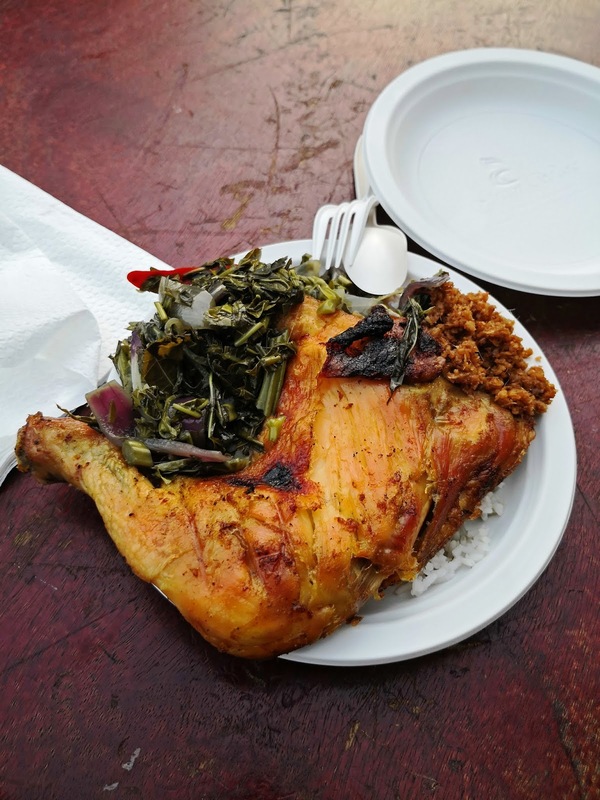 A quick search on Google tells me that not only does this 3-days international music festival from 13 - 15 July involve just music performances but also a cultural enlightenment for most of us. Activities include wellness programs, hands-on workshops on how to play an indigenous instruments and more. 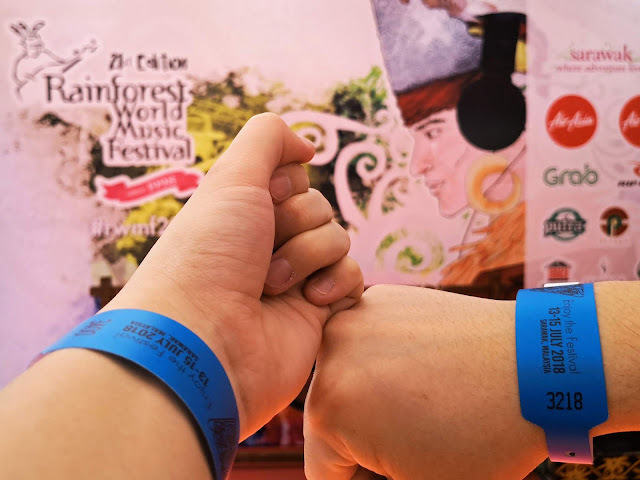 My friend and I arrived at our destination by free shuttle bus in the afternoon on Sunday (the last day of Rainforest World Music Festival 2018). Booklets were given out and time slots were allocated to different activities. 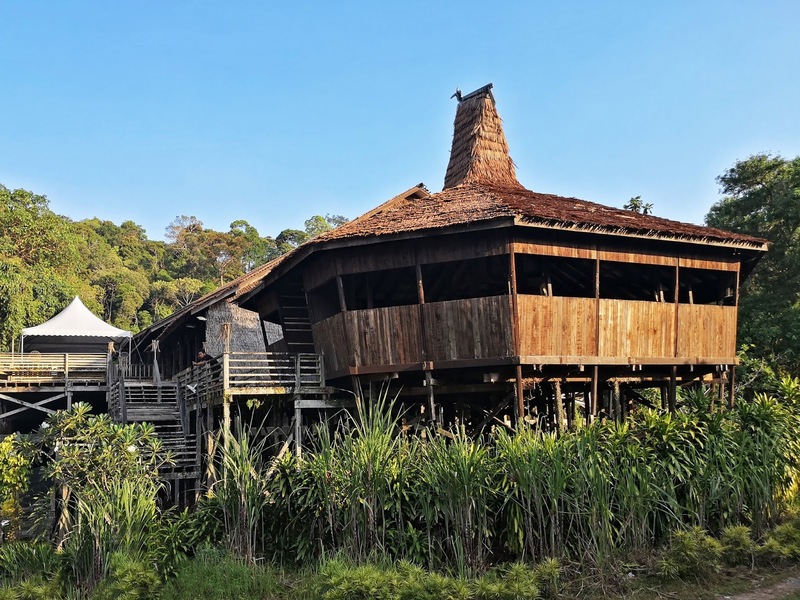 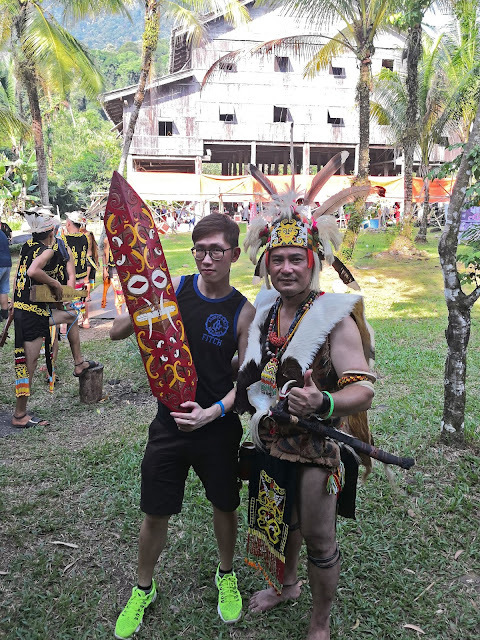 Since it was held within the compound of Sarawak Cultural Village, I had a great and exciting time exploring the place, climbing up and down log-cut ladders which might look scary for the faint hearted. 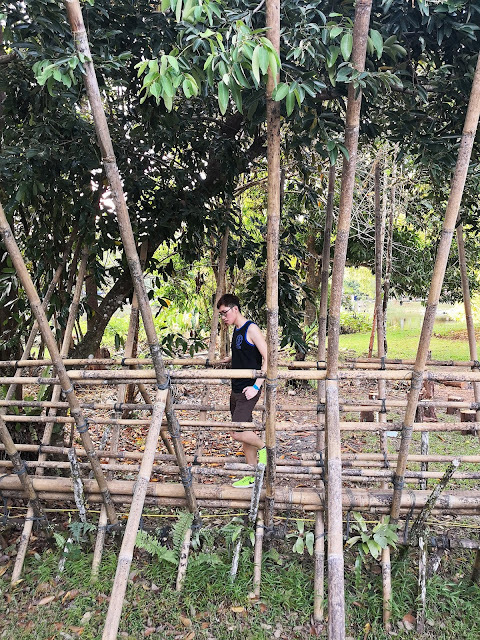 I took many photos as well, especially with nature and homes made from nature. Be sure to wear comfortable clothings as it was quite scotching in the afternoon. 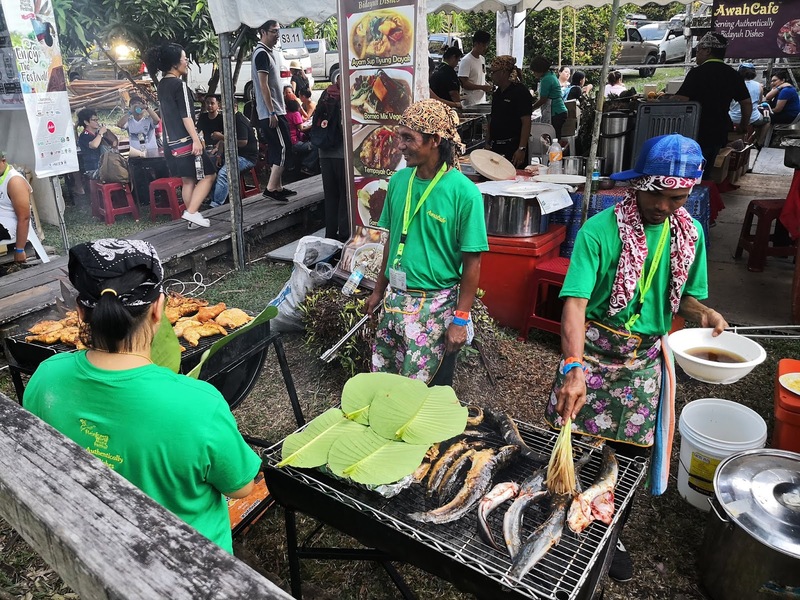 Food and beverages were not allowed to be brought in but fear not since there were a couple of food tents with seatings available. Mosquito repellent is necessary for mozzi magnets like me since the Rainforest World Music Festival is held among forest area after all. 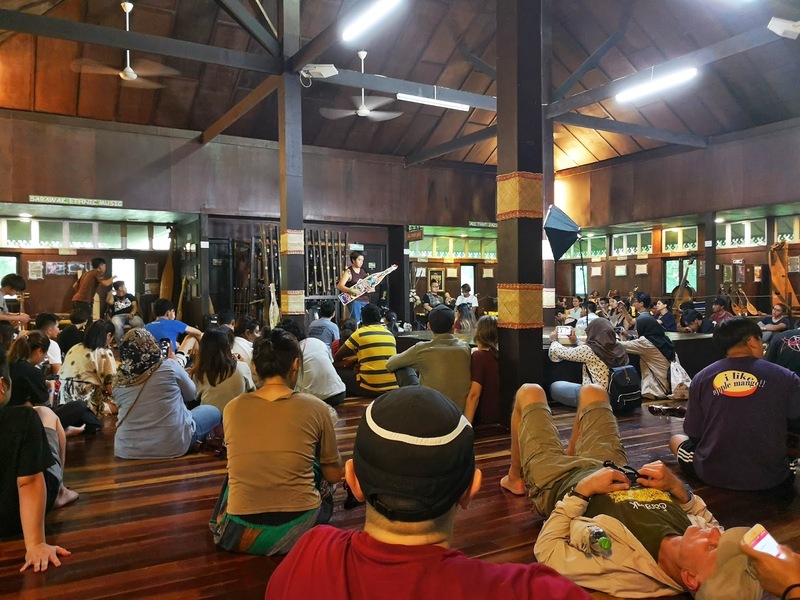 The musical performances started slightly before nightfall, stretching all the way to midnight. 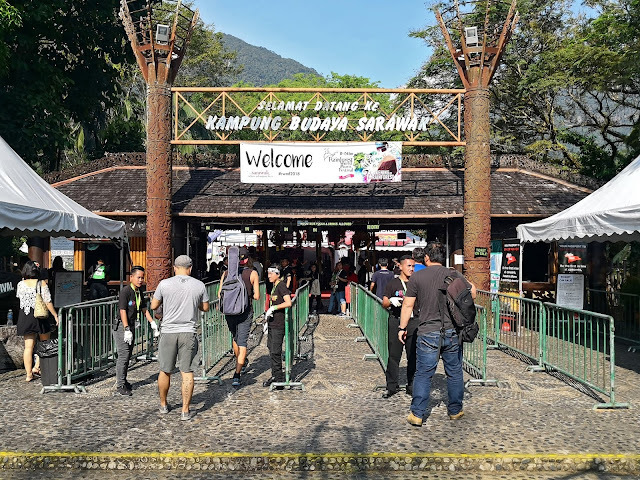 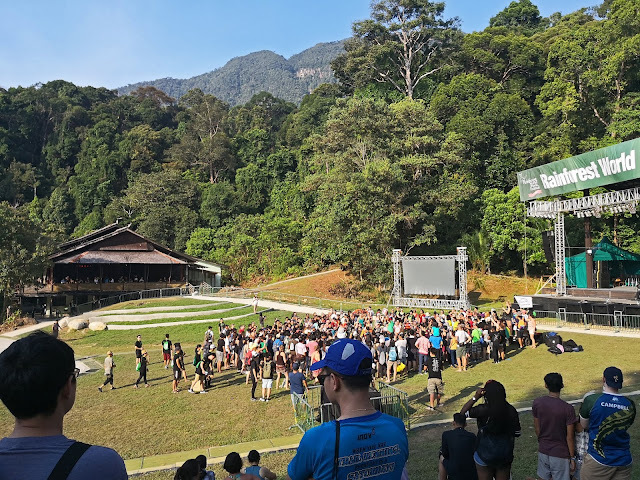 It was the first time in my life to enjoy a series of life musical concerts performed by international musicians, in the midst of a Borneo rainforest literally! 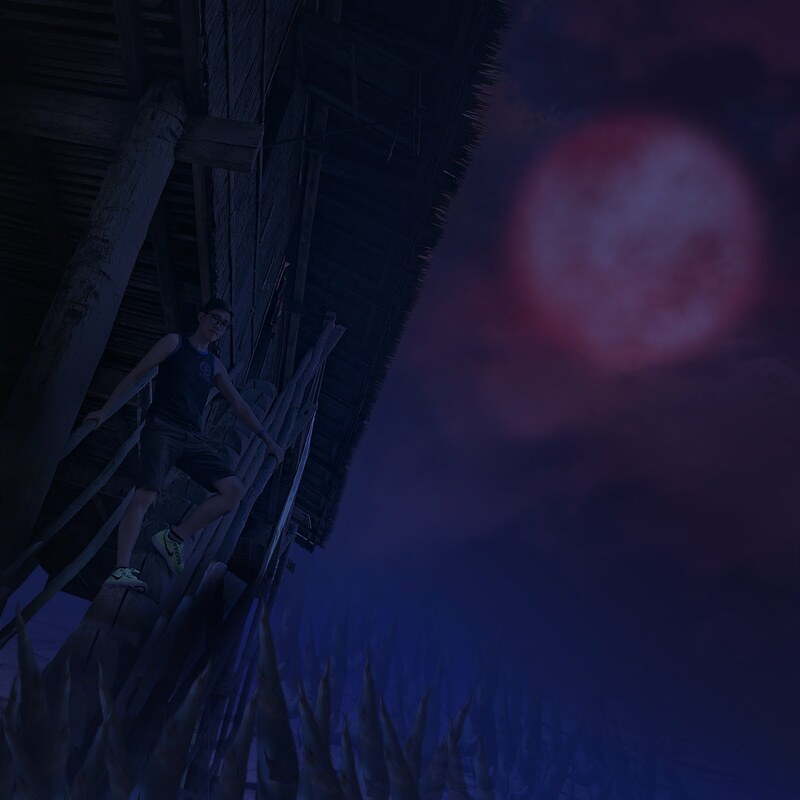 Not forgetting the star lit sky as well! 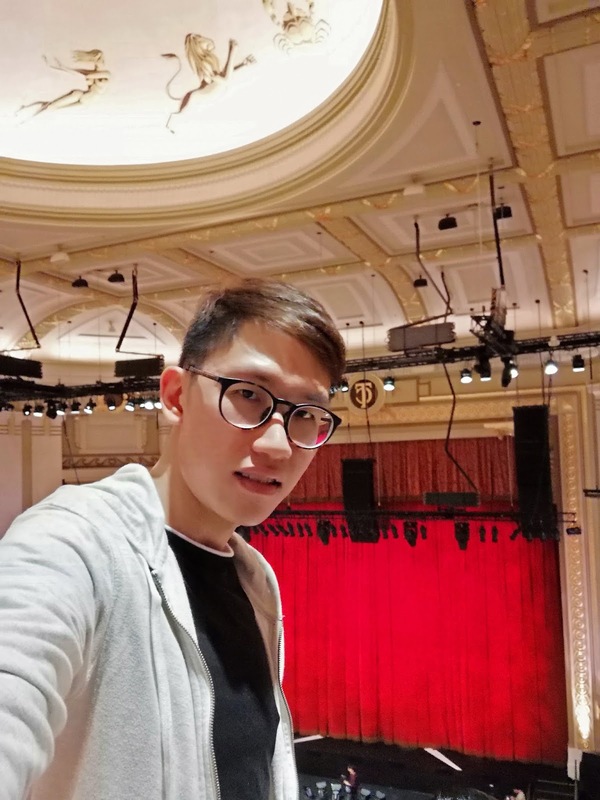 How thrilling could it get? 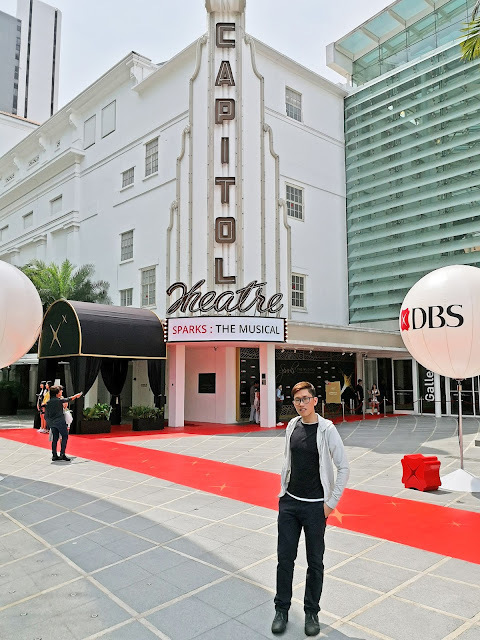 I was privileged enough to be invited by DBS to attend SPARKS, The Musical (performed from 3rd - 5th Aug) to commemorate the bank's 50th anniversary. 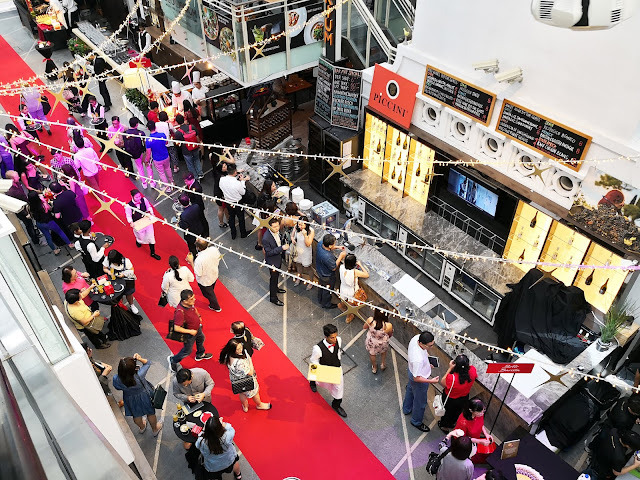 The gala show was attended by Guest of Honour Prime Minister Lee Hsien Loong, as well as many of the bank's leaders and employees from the early years. SPARKS, The Musical was held at the Capitol Theatre, a historical building that was beautifully refurbished after 17 years. 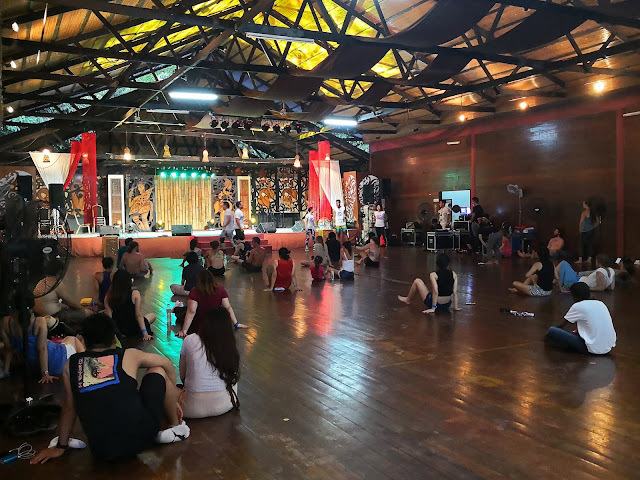 The place was basically a core for plays, musicals as well as grand gala events. 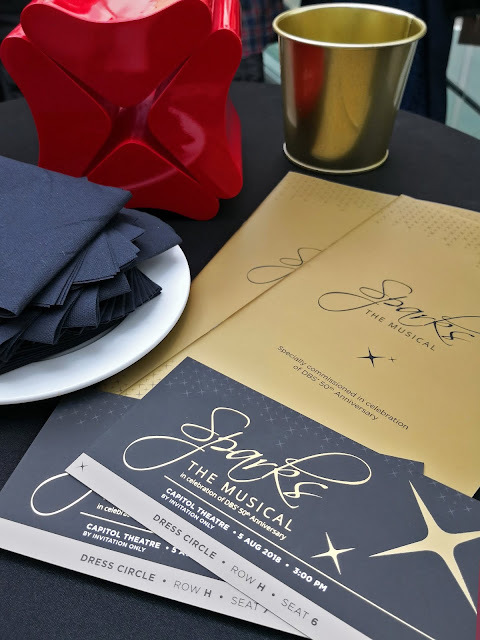 Imagine the excitement when I received the "Golden Ticket", a brochure as well as a copy of DBS commemorative booklet. 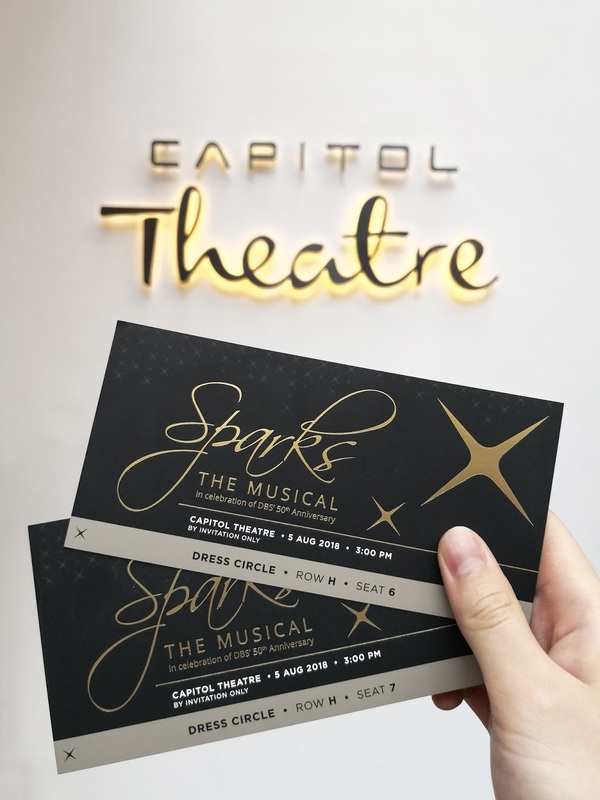 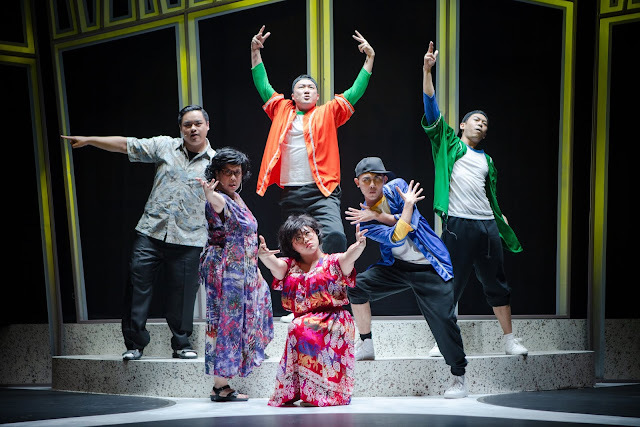 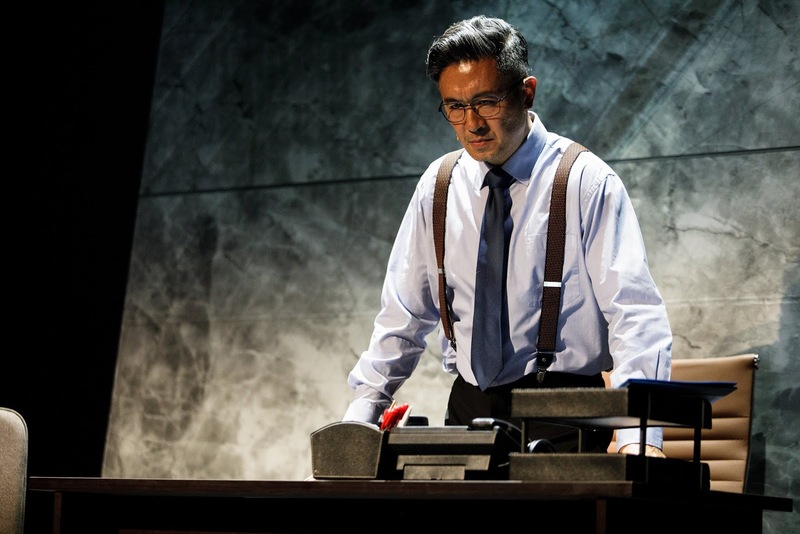 SPARKS, The Musical is performed by Adrian Pang who reprises his role as Chester Teo in DBS SPARKS series, together with his cast of professional actors from Pangdemonium theatre company. "Pangdemonium is a proudly Singaporean, critically-acclaimed, award-winning theatre company with a mission to tell stories on the stage which are challenging, inspiring, relevant, accessible, and above all, of the highest artistic, entertainment and productions values, in a league with the very best of theatre internationally." 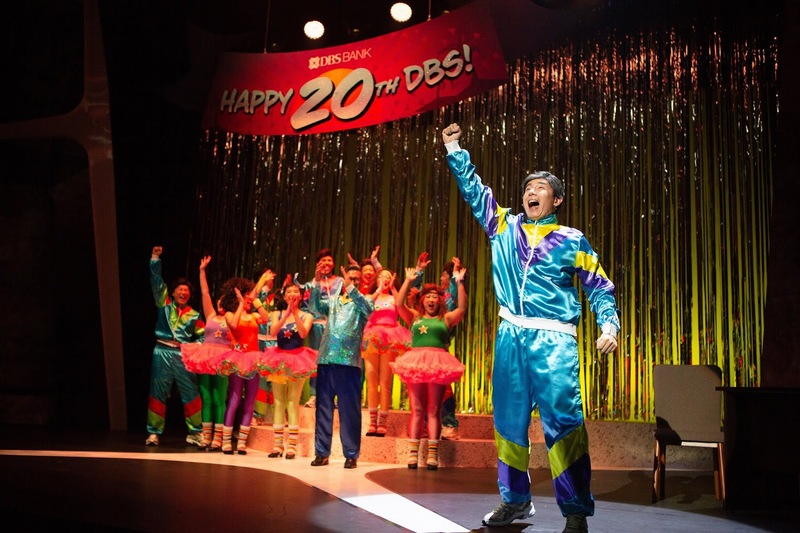 The Musical took me through the DBS journey back in time which was lit 50 years ago. 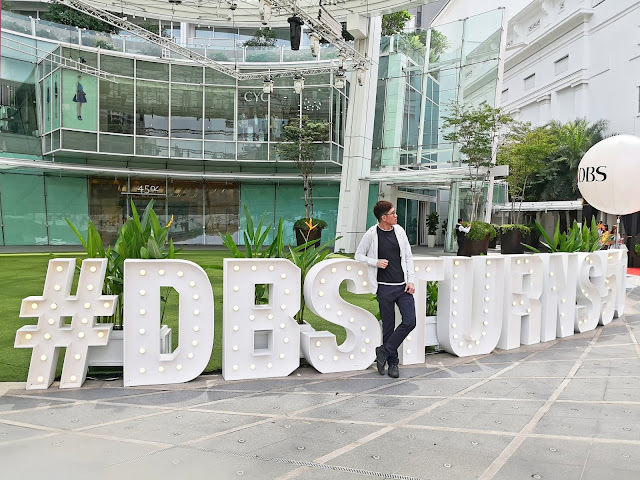 It features behind the scenes of unsung heroes whom not only played crucial roles in the DBS story but also touched countless lives along the way. There were bonds built with some of their more memorable clients as they shared their triumphs, supporting them through challenging times like the global financial crisis and the SARS epidemic. It was indeed an eye opener for me since I got to understand a bit more about the financial and banking industry in Singapore and also just realising that DBS has already been around for 50 years.